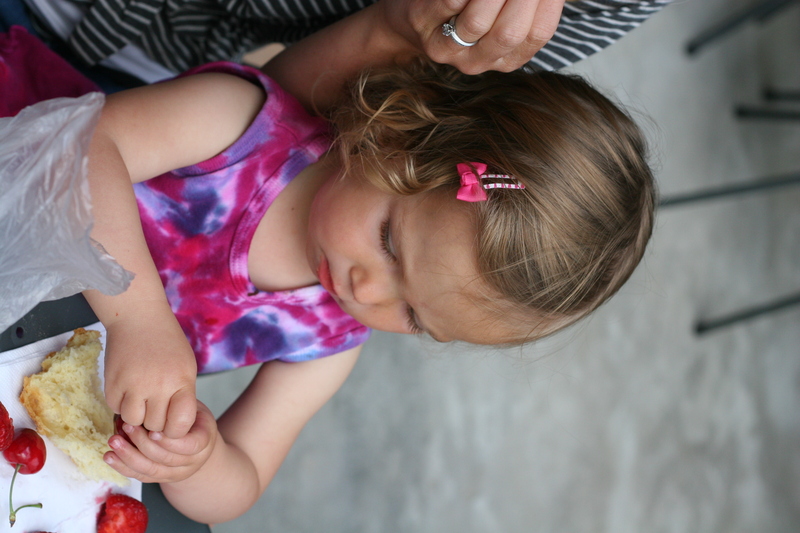 Do you remember your first farmer’s market trip? I may be a bit green to recall the resurgence of outdoor markets, greenmarkets, and farmer’s markets in the past couple decades, but I can profess that farmer’s markets have been one of life’s most indulgent pleasures for me since I was a little girl. Our seasonal (April-October) market in my hometown of Novato was magical for me. It was there that I ate my first peach scones from the now defunct Skully’s bakery, bought my first mixed lettuces with flowers (“Really? We can eat flowers? !”), my first gyro with garlicky yogurt sauce, and I inherited my mother’s propensity for buying flats of fragrant, red strawberries…and raspberries….and yellow raspberries…and three melons for the price of one. I cannot recall which activity that I or my three sisters were doing those Tuesday afternoons, but I will always remember angling to crash the farmer’s market and buy dinner there. Equally memorable for me, but for entirely different reasons was my first Italian farmer’s market way back in 1994. One of the most beautiful memories of my life was traveling to visit our Italian relatives in Ivrea with my family, and at various times with my grandparents and my uncle and aunt. I was, as my sisters would all vehemently testify, an unfortunately gawky teen, but it was undoubtedly my awakening, the explosion of my obsession with food. 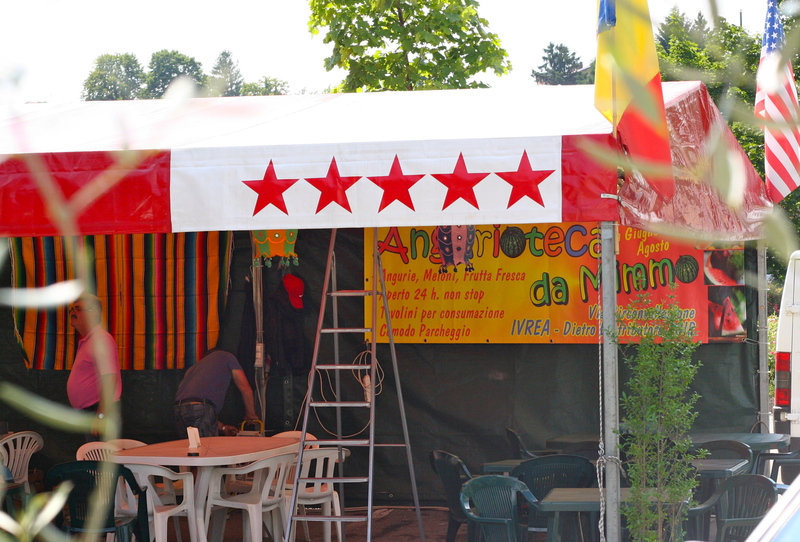 Fortunately for us, our trip to Ivrea coincided with the large Friday outdoor market. We came in mid-June, virtually the same time as our recent trip. The stalls were flooded with stonefruit (which I loved even then), strawberries, and figs–the first perfumey, fragile, beaded-with-drops-of-nectar figs I had ever eaten. But oh the punitive scowls I received when I dared to actually touch!! a peach to see if it was the correct ripeness. 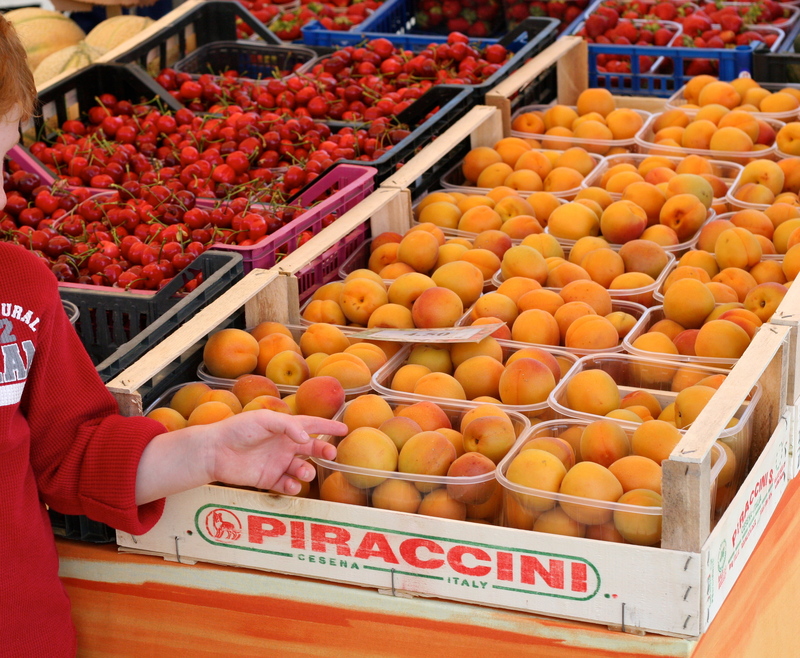 No touching the produce at Italian markets. I further realized that this was no Novato, California market as I ogled at whole rows of live chickens, vegetable plants for sale, and locals peddling a little of this and a little of that from their own plots in the foothills. But what killed me was all of the dairy products. 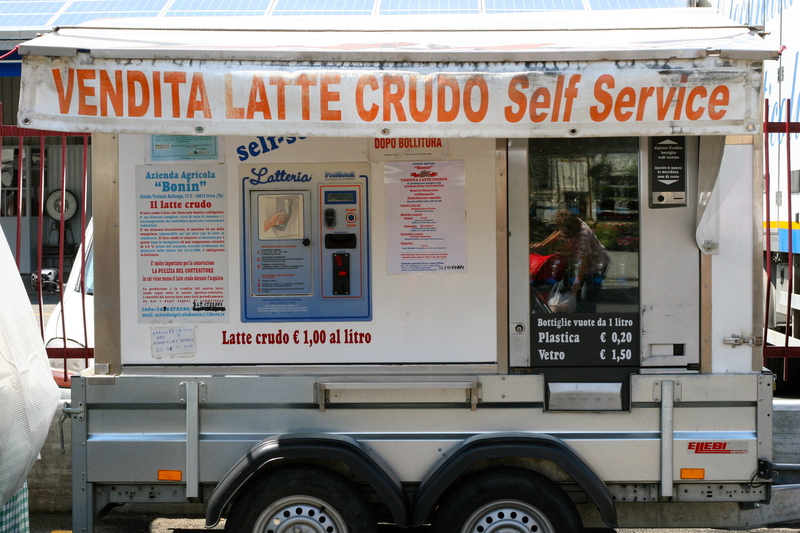 Each vendor drove in a mobile, cooled hut full of Alpine yogurt, milks, butter, and cheese. Oh the cheese just killed me. 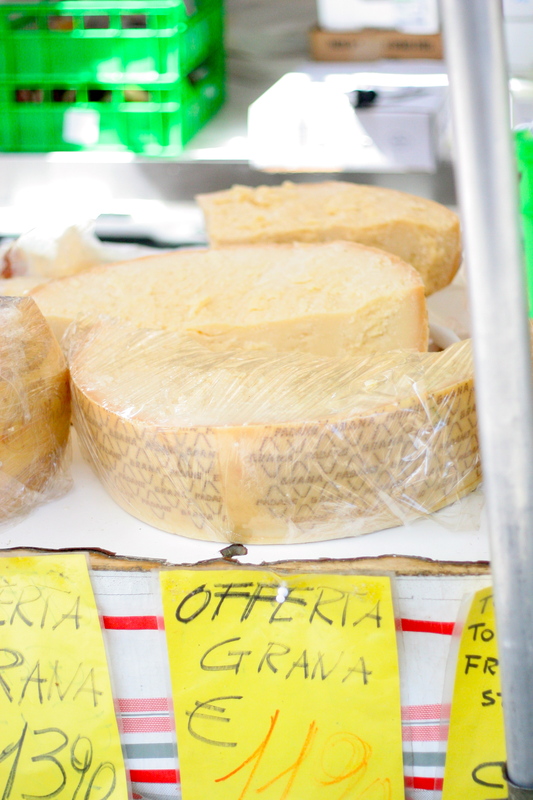 Have you ever had toma cheese from Piemonte? It is a mind-blowing cheese. I only have had one in the U.S., sold by Cowgirl Creamery at the San Francisco Ferry Building market, but if you can get ahold of a Piemontese toma, you will be one step closer to paradise. Almost all of them are cow’s milk (but I had a heavenly, nutty, medium-soft one blended with sheep’s milk too). 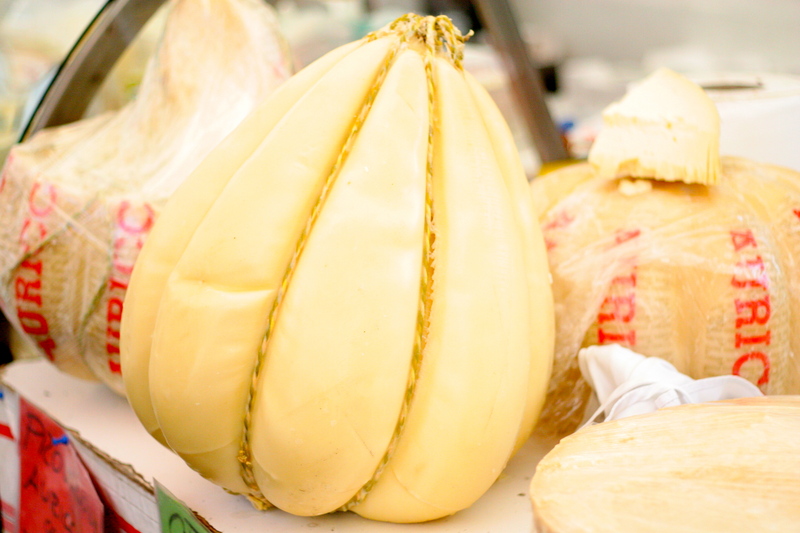 Another inimitable Piemontese cheese is a fresh log of tomino, which my family loved to serve sliced into little rounds surrounded by valeriana, (similar to mache or lamb’s lettuce here in the U.S.), and dressed with rich, fragrant extra virgin olive oil and a lavender-thyme sea salt. Heaven, I tell you. And true fontina from Piemonte? My husband, a formaggiophobe complete eschews it, but a rich, stinky, almost eggy (go with me here) fontina is mandatory for a perfect polenta, in my opinion. These cheeses were embossed upon my brain when I returned a couple of years later and then to study at the University of Bologna for a year in college. I kid you not when I tell you that I gained over ten pounds that year. Sigh… It was worth every luscious gram of fat. I thought I had seen it all at an outdoor market. I mean, if I wanted, up until last year I could have bought one of those caged chickens off the back of a truck near the Alemany market on Saturdays here in San Francisco. For the price of my firstborn child I can get virtually any edible fungi at the stall at the San Francisco Ferry Building. I can buy honey produced in San Francisco by a San Francisco beekeeper’s bees. And I can get raw milk and cream at a few places for around eight or nine dollars per quart when I make cultured butter, clotted cream, or homemade mozzarella (more on those soon). But a self-service raw milk vending machine?! And only 1 Euro for a liter of it! It took me at least thirty seconds to realize that I had to photograph it as evidence that it actually existed. A full two weeks before we had cherries (read: under $8/lb) here in Northern California they had flooded the foothills of the Italian alps. My son, though he thankfully loves mushrooms like Mamma, despised the cheeses that my daughter, parents, and I lovingly savored. He did make one not-so-surprising request though–apricots and cherries. We ate these hand over fist the day before we picked twenty something kilos of cherries from my family’s cherry tree at the vigna, “vineyard” in the hills. We all have a cherry problem clearly. In honor of my Italian family and the stonefruit we bought at the Ivrea market a couple of weeks ago I leave you with a cobbler recipe that I (barely) adapted from my mother. In the pie department no one holds a candle to her and in the past decade or so she has begun to conquer the world of crumbles and cobblers too. Enjoy this phenomenal, last minute dessert of the season. You can make it with absolutely any fruit you have on hand. Just be attentive to juicy berries and add a dash more flour. Notes: You can use pretty much any combination of any fruit for this cobbler, adding a bit less flour to the fruit for fruits like apples or pears. Just aim for roughly 3 cups of fruit. It is a rustic dessert so it is fine to vary. Preheat the oven to 375F degrees. In a large, rectangular baking dish toss the sliced fruits with 1/2 cup sugar, 2 tablespoons flour, cinnamon, and vanilla extract, if using. Meanwhile, in a separate bowl combine about 3/4 cube (6 tablespoons) of melted butter with the remaining 2 cups of flour, baking powder, salt, and egg. Pour this mixture over the top of the fruit, pour the remaining 3/4 cube of melted butter (6 tablespoons) over the top, and then sprinkle with either 1/4 cup sugar and the cinnamon, if using or just 1/4 cup of Demerara sugar. Cook for about 40 minutes, turning halfway, until the fruit is bubbling and caramelized in the corners and a skewer or toothpick inserted in the middle comes out clean. 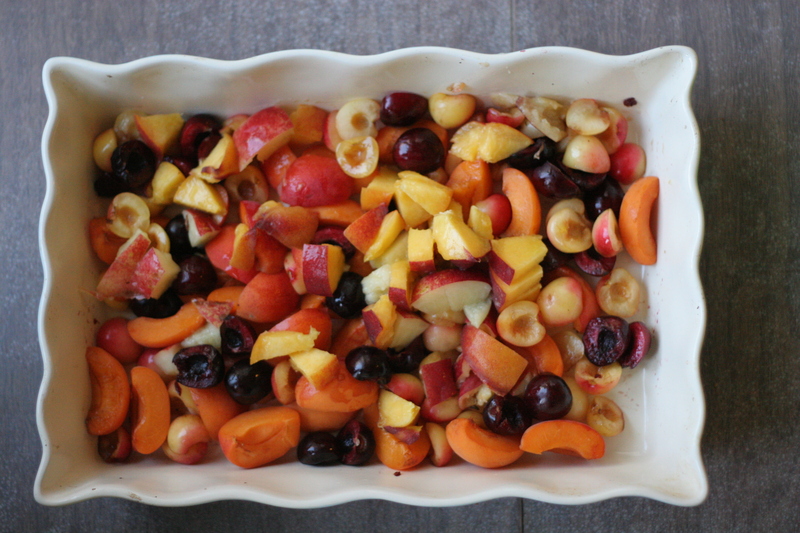 This entry was posted in Cherries, Dessert, Rustic Fruit Desserts and tagged apricot cherry nectarine cobbler, cherry cobbler recipe, Italian farmer's markets, Ivrea market Italy, mercato d'Ivrea, Stonefruit cobbler recipe. Bookmark the permalink. Wonderful! You make me want to go back and visit in Ivrea. I can attrest that all of this made a most wonderful trip and shared family experience. 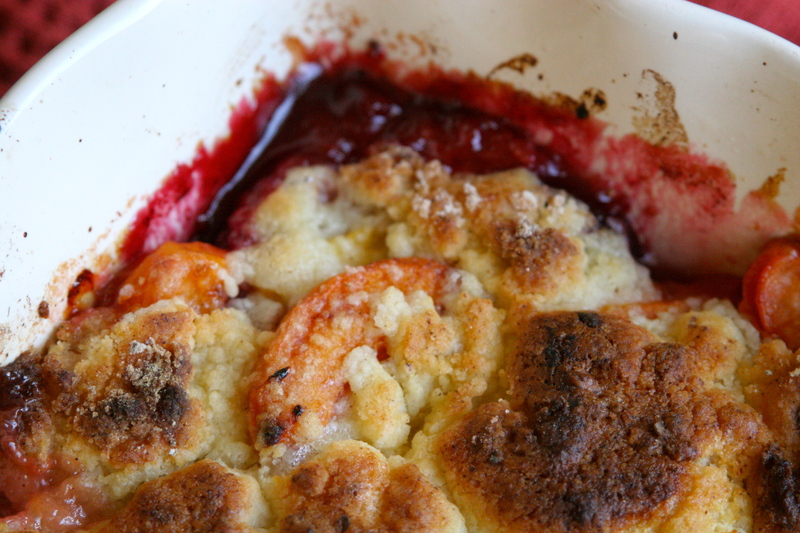 As for the cobbler–it looks like a winner since I love the apricot version of it and cherries are my favorite fruit. What a great post! 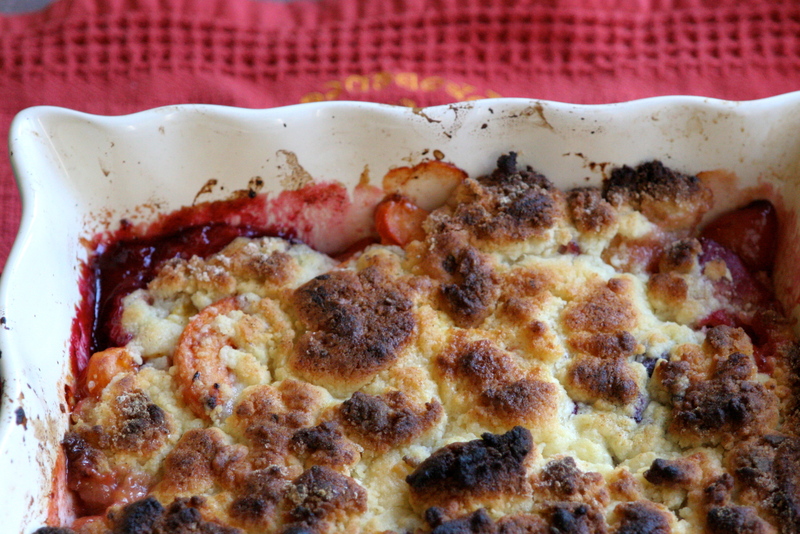 This cobbler looks way too delicious! Love the combination of fruit. !!! Stonefruit, consider this fair warning: I’m coming for you this weekend. Watch out. I will promptly devour some of you raw and bake the rest into various delicious creations à la Cuoca Ciccia. Mmmmmm!!! Another cold stonefruit inspiration coming tomorrow. 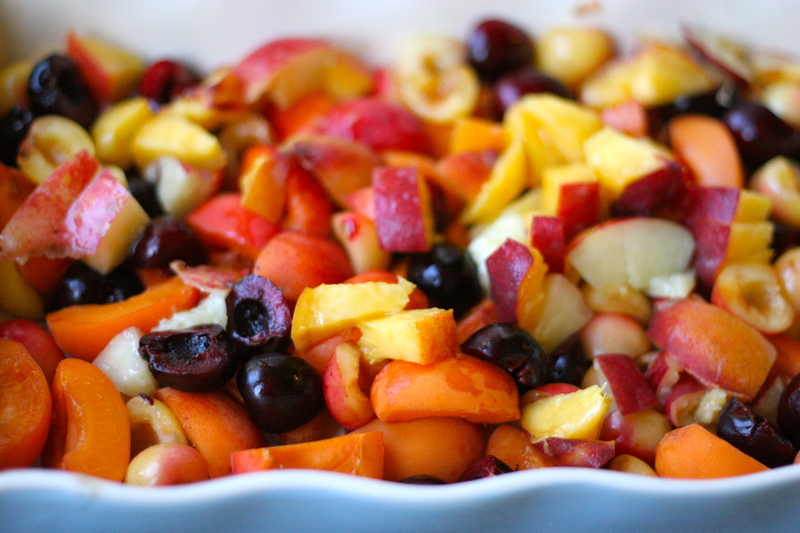 I LOVE cobblers and crisps with yummy stone fruit or berries. I use the crisp topping I stole from Veronica. I think I’ve made 3 crisps in the last 4 – 5 weeks. Yum! I have not tried Ronnie’s.